One of the instruments of increasing efficiency of energy generation and consumption is reduction of resources consumed for its production with simultaneous increase of production. It is also obvious that new technologies must be implemented by the energy sector to stay competitive. At the same time, reliable energy supply must be secured for the consumers. This requires that all power generation and distribution facilities operate without interruption: all equipment must be kept in good condition. One of the resources used in the process of generation and distribution is oil. While oil is obviously not a direct means of production, its function is paramount to operation of primary equipment, such as transformers. Primary functions of oil are dissipation of heat and insulation. Oil is considered a resource, since it requires periodic renewal due to gradual contamination. In the process of operation, oil has a tendency to accumulate contaminants of various sizes and origins. 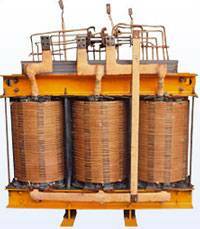 This is caused by natural wear of movable parts, oil oxidation and the complex chemical processes inside transformers. The latter cause formation and accumulation of water in the oil; solid insulation of transformers deteriorate over time, releasing products of degradation into the oil; after all, the oil itself ages and degrades, and products of its decay, including additives, forms sludge. As a result, there are numerous types of contamination: oil aging products (decomposed additives), water, corrosion production, silicates, cellulose fibers from insulation, oxidation products, gases, acids etc. Obviously, the contaminants negatively affect functionality of oil filled equipment due to degradation of oil performance, to the point of total equipment failure. Therefore, the significance of oil for efficient and continuous operation of generation and distribution equipment cannot be overemphasized. Of all solid contaminants, the most dangerous to a transformer are particles smaller than 5 micron, as they constitute approximately 95% of total contamination. Besides, these particles are mostly formed by the products of oil oxidation. These contaminants are charged and have a tendency to accumulate on the internal surfaces of a transformer when the oil reaches a certain level of contamination, hindering release of water from solid insulation and therefore accelerating the process of solid insulation degradation. Contaminants also prevent effective heat exchange between the windings and the oil, and between the oil and heat dissipaters, which increases transformer temperature. The effect is that maximum transformer load is reduced, and oxidation processes are accelerated. The obvious conclusion is oil must be regenerated or purified, as the oil is a costly product; however, the problem of oil replacement exists unchanged to this day. At the same time, industrial liquid purity must be regulated. This issue is appreciated worldwide, hence the internationally accepted standards, such as ISO and NAS. Required purification and regeneration of oil requires special equipment to serve this purpose. Since removal of particles larger than 5 micron does not provide required purity, this sort of purification cannot bring the oil condition to below contaminant saturation level. This brings about another problem: not all methods allow removal of contaminants from the internal surfaces of oil filled equipment without stopping the equipment (photo below shows oxidation products attached to the internal surfaces of equipment, including transformer windings). Particles smaller than 5 micron are mostly oxidation products. These particles are charged, so they have a tendency to stick to the internal surfaces of equipment and form a heat insulating layer hindering heat dissipation; this phenomenon accelerates oxidation exponentially. In transformers, this sludge layer also forms on the windings and prevents release of water from cellulose insulation. Besides, since gaps between windings decrease due to this sludge, the windings may short-circuit, which creates more contamination by breaking oil molecules, and causes loss of power. Apparently, this problem cannot be ignored, and a solution must be found. One of the possible solutions is electrostatic purification. The idea is to pass the oil through electric field, which will force charged particles to fall out on electrodes (the photo below shows settling of particles in electrostatic cells). Since this method does not use filters, it does not slow down the oil’s flow rate and does not create pressure buildup. Evidently, small charged particles are removed, which is difficult, if at all possible, to reach by simple filtration. Removing particles larger than approximately 0.1 micron creates a level of purity far from contaminant saturation threshold. Therefore, processed oil will take sediment from the internal surfaces (through diffusion), which will facilitate surface cleaning. Therefore the cyclic nature of this method. However, water, being a conductor, hinders the process. This method is applicable only for oils with moisture content below 500 ppm. A method which only allows removal of particles larger than 5 micron has no sense. Of course, this sort of filtration might also be useful, but it does nothing to solve the problem, only postponing it. Such filtration can do nothing about the sediment on the internal surfaces of the transformer, whereas industry professionals state that the amount of contaminants and sludge on the surface is 3 – 5 times above that in the oil. Another operation that has no sense is single-pass filtration. As was mentioned, clean oil has a tendency to accumulate sediment from the internal surfaces of equipment. Therefore, if the oil is only purified once, the problem remains, as the oil will become contaminated immediately after reentering the equipment. The photo above shows a comparative analysis of oil purity on a 0.8 micron membrane; the left picture shows oil purified to 0.8 micron, the right photo shoes oil filtered to 5 micron. An important consideration is that when a superimposed field is applied to the oil, it polarizes, since positive charges move in the direction of electric vector, while negative charges move in the opposite direction. As the result, oil molecules acquire dipolar momentum and it polarizes. Therefore, the use of fine purification equipment at energy facilities is quite necessary, especially after repairs or servicing, while extension of oil life time by 3 or 4 times ensures a significant economic effect. Transformer oil is both an insulator and a cooling medium; it is in contact with current conducting elements, the cores and solid insulation. The aging process occurs at increased temperatures due to combined effects of molecular oxygen on the air, water and electric field. To function effectively as dielectric and heat carrier, and for extension of transformer oil life (which should, ideally, at least match the life time of the equipment), its quality must be monitored. No change of other parameters was detected. Electric strength is the main parameter of insulation oil and defines the oil’s functionality. Electric strength is decreased by moisture content and contamination by solid particles. The described purification process increased breakdown voltage from 50 to 56 kV. Appearance of solid particles in the oil is indicative of insulation manufacturing defects or wear of materials in the process of operation. Solid particles degrade breakdown voltage. Apparently, purity was significantly increased. Obviously, the superfine purification process allows purification of oil to any required purity class. Solved contaminant content is the main criteria for replacement or regeneration of oil. Solved contaminants subsequently form sediment in the transformer. Being chemically aggressive and having low heat conductivity, these oil aging products accelerate aging of cellulose insulation and increase dielectric loss. This parameter was improved from 0.00014 to 0.00001 by the superfine purification. Obviously, this method allows significant reduction of solved contaminant content, however, its initial content was far below the acceptable number. Tangent delta of dielectric materials is the primary indication of their dielectric properties and compatibility of oils for mixing; it also helps to determine degree of aging and the content of various chemical contaminants (construction material degradation products etc.). Tan delta after overhaul: 0.127, before purification: 0.113, after purification: 0.079. Acidity is the main indication of the oil’s aging and helps project the oil’s life time; besides, it is the main criterion for replacement of adsorbent in thermal siphon filters and efficiency of regenerating oil with special equipment. Acidity after overhaul was 0.004, before purification: 0.0044, after purification: 0.004. Flashpoint is indicative of the oil’s composition, and helps detect oil decomposition processes (thermal or electrical). After overhaul: 139, before purification: 139, after purification: 140. Moisture content in a dielectric is the criteria of its suitability for equipment, and helps determine the cause of declining dielectric qualities of oil and/or solid insulation. Before purification: 18.3; after purification: 23.9 ppm. Moisture content increased after superfine purification, but remained within requirements. The superfine purification technology does allow to remove solid particles and solved impurities from transformer oil; apparently, this process can positively affect oil performance and life time. [:fr]High degree of oil purity is a normal requirement of modern hydraulic and lubrication systems. However, oil manufacturers sometimes fail to ensure the required oil purity, hence the need to purify the oil before operation One of the instruments of increasing efficiency of energy generation and consumption is reduction of resources consumed for its production with simultaneous increase of production. It is also obvious that new technologies must be implemented by the energy sector to stay competitive. At the same time, reliable energy supply must be secured for the consumers. This requires that all power generation and distribution facilities operate without interruption: all equipment must be kept in good condition. Since removal of particles larger than 5 micron does not provide required purity, this sort of purification cannot bring the oil condition to below contaminant saturation level. This brings about another problem: not all methods allow removal of contaminants from the internal surfaces of oil filled equipment without stopping the equipment (photo below shows oxidation products attached to the internal surfaces of equipment, including transformer windings). Particles smaller than 5 micron are mostly oxidation products. These particles are charged, so they have a tendency to stick to the internal surfaces of equipment and form a heat insulating layer hindering heat dissipation; this phenomenon accelerates oxidation exponentially. In transformers, this sludge layer also forms on the windings and prevents release of water from cellulose insulation. Besides, since gaps between windings decrease due to this sludge, the windings may short-circuit, which creates more contamination by breaking oil molecules, and causes loss of power. Apparently, this problem cannot be ignored, and a solution must be found. One of the possible solutions is electrostatic purification. The idea is to pass the oil through electric field, which will force charged particles to fall out on electrodes (the photo below shows settling of particles in electrostatic cells). Since this method does not use filters, it does not slow down the oil’s flow rate and does not create pressure buildup. Evidently, small charged particles are removed, which is difficult, if at all possible, to reach by simple filtration. Removing particles larger than approximately 0.1 micron creates a level of purity far from contaminant saturation threshold. Therefore, processed oil will take sediment from the internal surfaces (through diffusion), which will facilitate surface cleaning. Therefore the cyclic nature of this method. However, water, being a conductor, hinders the process. This method is applicable only for oils with moisture content below 500 ppm. A method which only allows removal of particles larger than 5 micron has no sense. Of course, this sort of filtration might also be useful, but it does nothing to solve the problem, only postponing it. Such filtration can do nothing about the sediment on the internal surfaces of the transformer, whereas industry professionals state that the amount of contaminants and sludge on the surface is 3 – 5 times above that in the oil. Another operation that has no sense is single-pass filtration. As was mentioned, clean oil has a tendency to accumulate sediment from the internal surfaces of equipment. Therefore, if the oil is only purified once, the problem remains, as the oil will become contaminated immediately after reentering the equipment. Electric strength is the main parameter of insulation oil and defines the oil’s functionality. Electric strength is decreased by moisture content and contamination by solid particles. The described purification process increased breakdown voltage from 50 to 56 kV. Appearance of solid particles in the oil is indicative of insulation manufacturing defects or wear of materials in the process of operation. Solid particles degrade breakdown voltage. Solid particle amount on the oil sample before and after purification: Particle size: Before After 5 – 10 micron: 0 0 10-25 micron: 264 24 25-50 micron 20 2 50-100 micron 0 0 Over 100 micron 0 0 Apparently, purity was significantly increased. Obviously, the superfine purification process allows purification of oil to any required purity class. Solved contaminant content is the main criteria for replacement or regeneration of oil. Solved contaminants subsequently form sediment in the transformer. Being chemically aggressive and having low heat conductivity, these oil aging products accelerate aging of cellulose insulation and increase dielectric loss. This parameter was improved from 0.00014 to 0.00001 by the superfine purification. Obviously, this method allows significant reduction of solved contaminant content, however, its initial content was far below the acceptable number. Tangent delta of dielectric materials is the primary indication of their dielectric properties and compatibility of oils for mixing; it also helps to determine degree of aging and the content of various chemical contaminants (construction material degradation products etc.). Tan delta after overhaul: 0.127, before purification: 0.113, after purification: 0.079. Acidity is the main indication of the oil’s aging and helps project the oil’s life time; besides, it is the main criterion for replacement of adsorbent in thermal siphon filters and efficiency of regenerating oil with special equipment. Acidity after overhaul was 0.004, before purification: 0.0044, after purification: 0.004. Flashpoint is indicative of the oil’s composition, and helps detect oil decomposition processes (thermal or electrical). After overhaul: 139, before purification: 139, after purification: 140. Moisture content in a dielectric is the criteria of its suitability for equipment, and helps determine the cause of declining dielectric qualities of oil and/or solid insulation. Before purification: 18.3; after purification: 23.9 ppm. Moisture content increased after superfine purification, but remained within requirements. The superfine purification technology does allow to remove solid particles and solved impurities from transformer oil; apparently, this process can positively affect oil performance and life time.